Spread the cheer this holiday season with women’s apparel from ShopMyNorth. From cozy robes, warm mittens, and chic hats, to Michigan T-shirts and sweatshirts, you’re sure to find something you love! 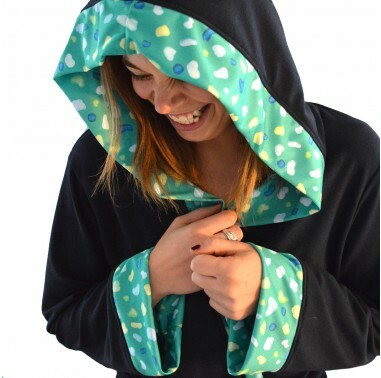 Product Details: Leland Gal’s “one size fits all” robe is fresh, cute, and practical. Their new robes are constructed with a shirt tale in the back so you are always covered when you sit down. They’ve attached the belt so you won’t lose it, and made it hit right at the empire waistline for a flattering cut. The cuffs can be rolled so you can still see trim fabric. The trim is Leland gal silk, paired with solid french terry. 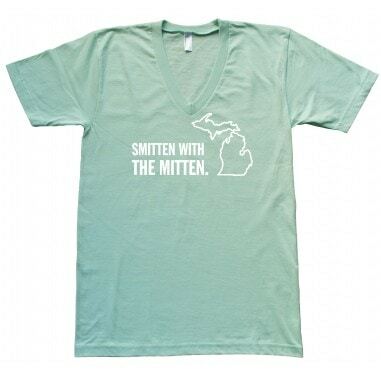 Product Details: Printed in Michigan on high-quality, American-made American Apparel shirts. Unisex sizing. 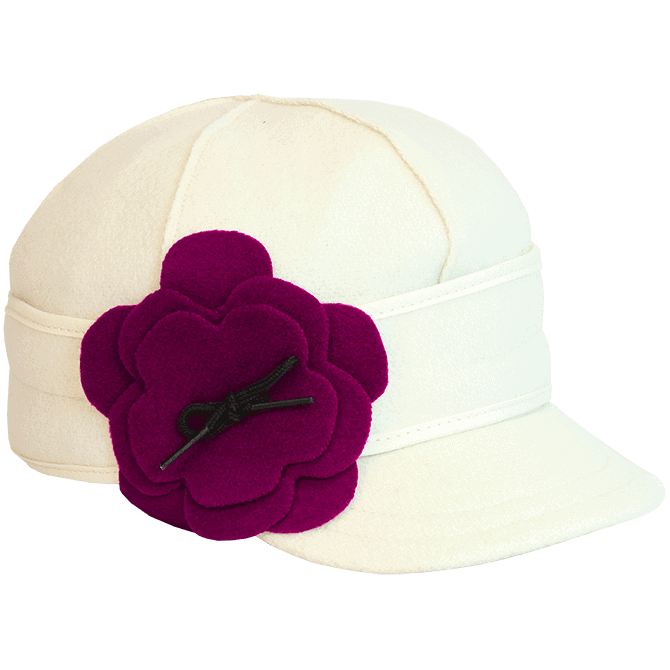 Product Details: It’s stitched with a wool flower flourish, Ida Kromer pattern and the same six-panel crown construction as the original Stormy Kromer cap. That means it’ll fit forever, which is how long it’ll be in style. Product Details: Made by Smitten Design Studios. 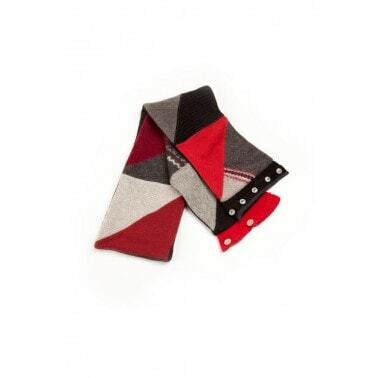 Product Details: Baabaazuzu’s knit scarf is cleverly pieced together with lambswool triangle pieces from recycled sweaters and lined with fleece. 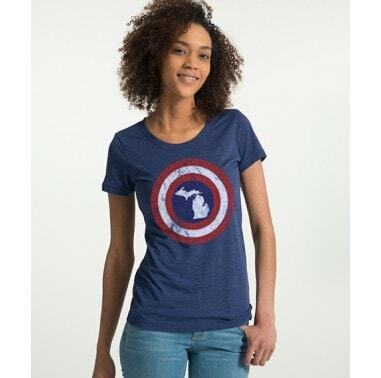 Product Details: Yes, this is very clearly inspired by a certain Avenger we all know and love, but with a Michigan flair! 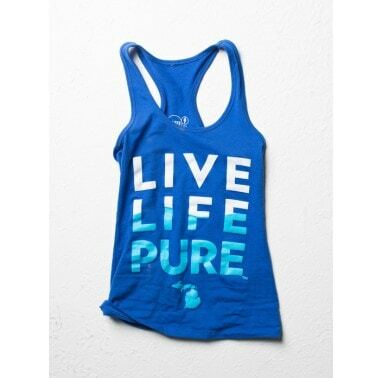 Product Details: Whether you fly fish Sturgeon River, tube the Platte, paddle board Lake Michigan, or just dip your toes in Torch Lake, if you live in Michigan, you live life pure, and this tank top celebrates that enviable lifestyle. Product Details: Made from Baabaazuzu’s heaviest felted wools, their city bag is durable and functional. Each consists of exterior and interior pockets, an adjustable strap and a sturdy stainless clasp. Product Details: All Leland gal fabric is designed in Michigan combining graphic design with original paintings by artist, Maggie Revel Mielczarek. 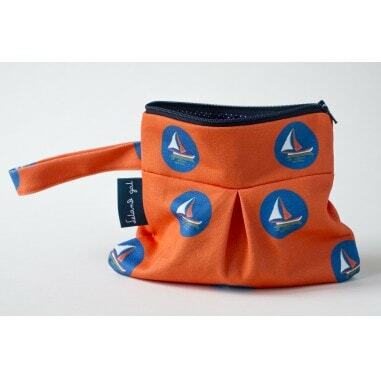 The spinnaker wrislet is made from twill fabric and measures 7″ x 7″ with a broadcloth polka dot lining. 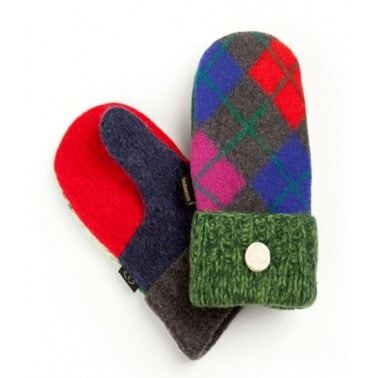 Product Details: Baabaazuzu recycled sweater mittens are warm and eco-chic. Each pair is one-of-a-kind, adorned with vintage buttons and made in Michigan. Find more women’s apparel on ShopMyNorth!